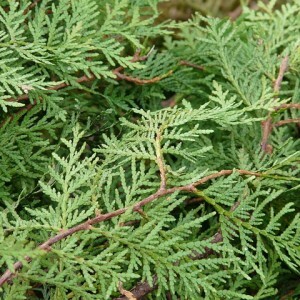 Thuja is a sort of evergreen plants from the family of Cupressaceae. In conversation on external furniture of any types of this plant, the words "needles" and "foliage" as at young copies it looks as a needle or a shilets (soft) are equally common, and with age they fall down and are replaced with a scaly-form leaflets. She quietly transfers a penumbra. At the same time there is an opinion that cultivars for the best development and durability need plentiful lighting. However, thujas placed on the Sun can: A) to suffer because of sharp temperature differences between day and night; B) can be dehydrated and dry out more intensively (while there are the strong frosts). It isn't forbidden to think over carefully about the protection from the wind. As a rule, this plant doesn't demand the first-class fertility of a substratum, let it though marshy, though clay, though sandy, though peaty.